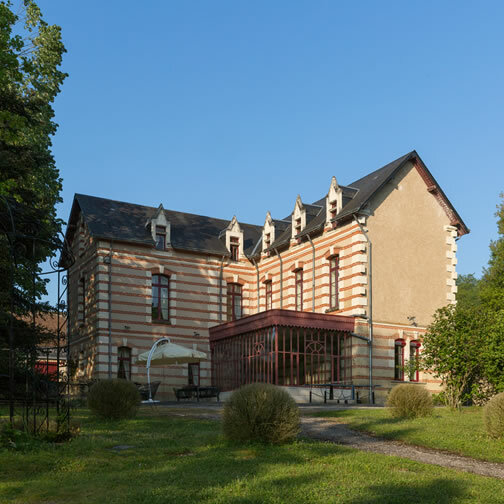 Tucked away in the midst of a 100-hectare forest that completely surrounds it, the Château de Brou overlooks the Manse and Courtineau valleys. The Domain opens you its doors for YOUR stay, YOUR CUSTOM-MADE event according to your expectations. Villa with high standard has 6 bedrooms, 5 bathrooms and welcome until 22 persons. Spacious kitchen, terrace and private garden completely closed, barbecue, ping pong table, nice lounge and large dining room with two tables of 10 persons each. 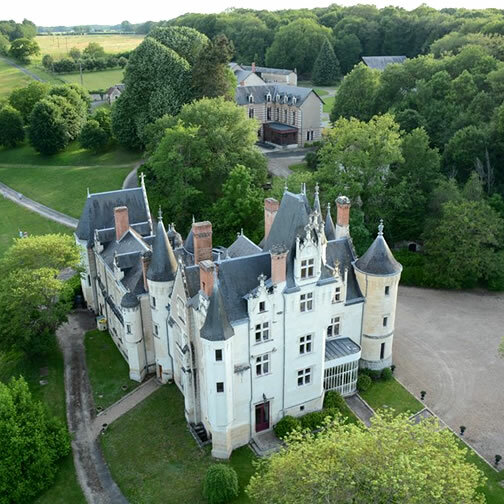 The Castle can be rent for family, friend event … There are 13 rooms and suites high standing, spacious dining room with fire place, two lounges, a large kitchen, two terraces and barbecue. 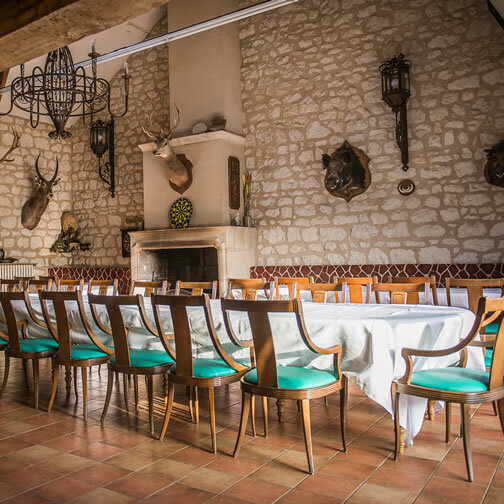 Cordial reception in a friendly and pastoral environment, the hunting lodge has a spacious dining room and welcome 50 guests maximum. Terrace, enclosed garden and barbecue on demand. To take advantage of this place you have the possibility of renting the whole domain : The Castle (with its 13 rooms), The villa (with 6 rooms), The hunting lodge (2 rooms). Any demand is a custom-made stay, do not hesitate to contact us for you project. Dream with your eyes open with the Domaine de Brou! You need to take time for you in a calm and beautiful place? You are looking for the perfect spot to gather your family and/or your friends together ? An easy place to get to an extraordinary stay? The Domain adapts itself to your dreams the time of your stay. 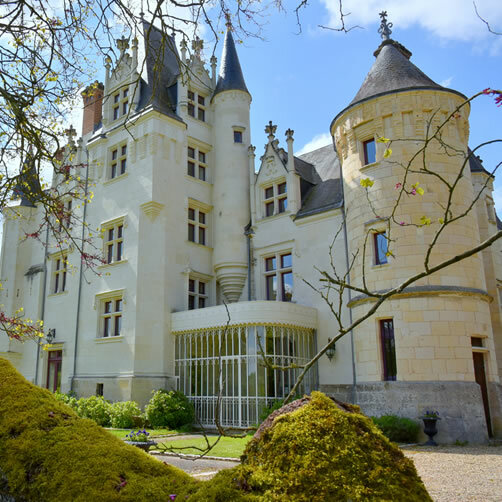 We provide you with our tourist guide of the South of Touraine so that you can plan at best your stay.